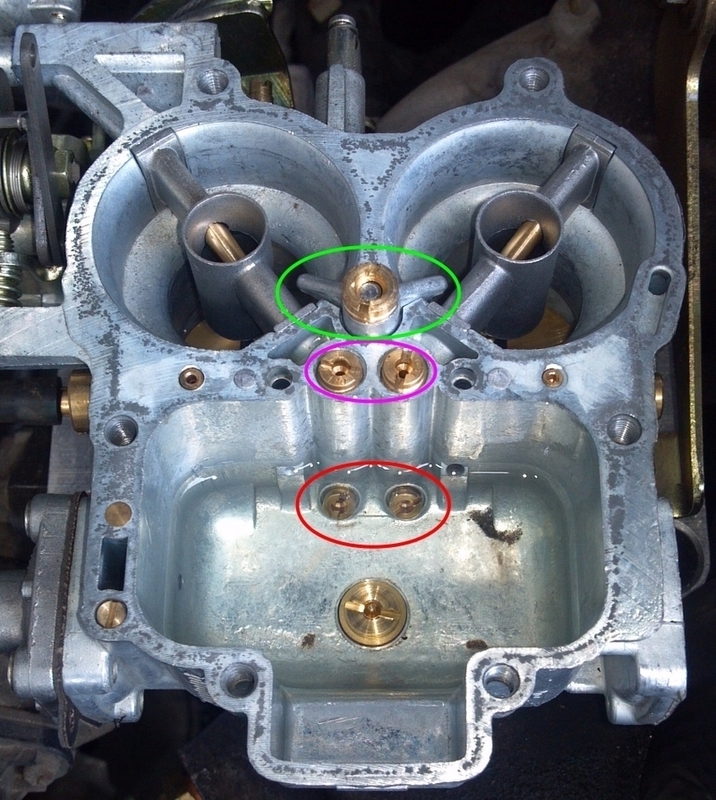 The green circle is the Pump Jet. Factory is a Single Pump Jet at 50. I didn't mess with that. 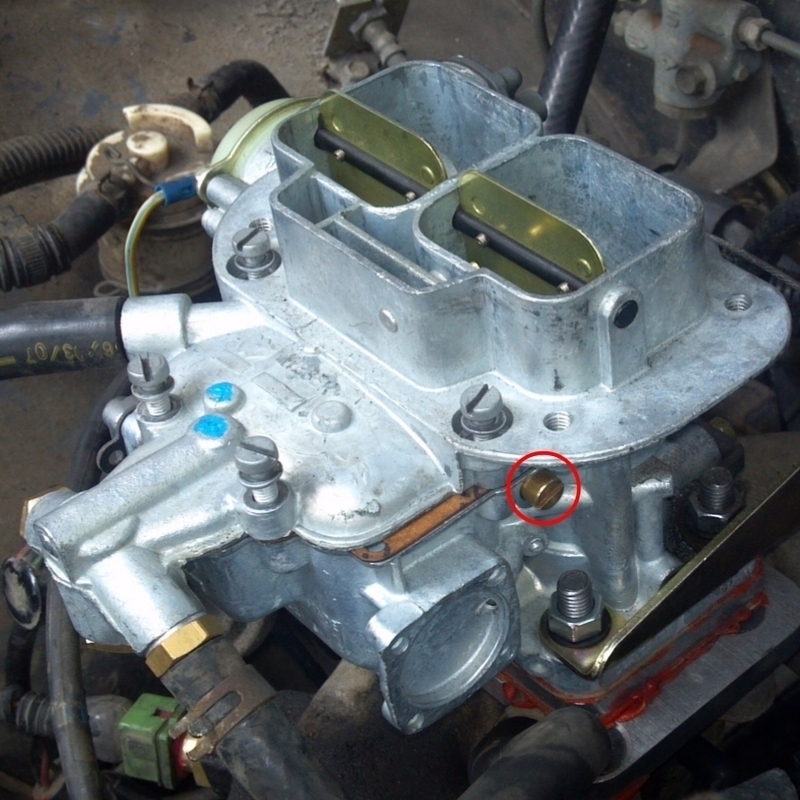 This piece is responsible for dumping fuel into the barrels under acceleration. 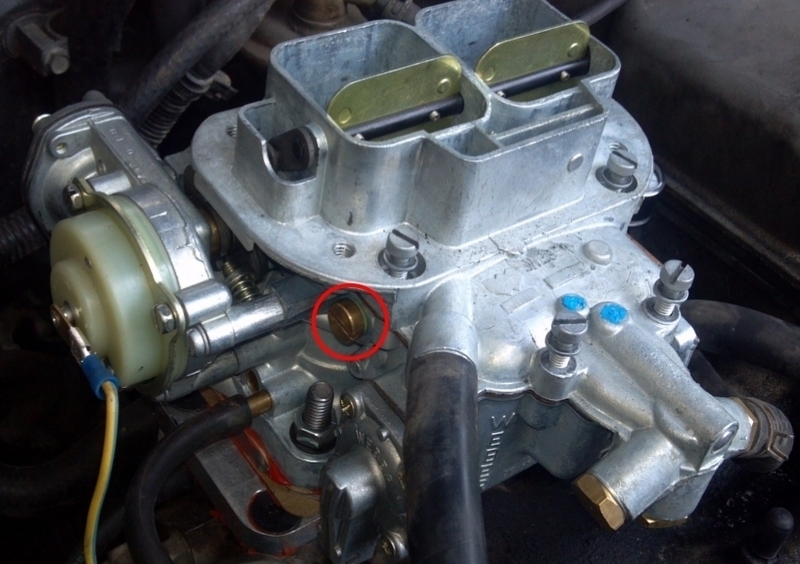 The Secondary Idle Jet lives under the brass fitting on the driver side of the carburetor (red circle). Factory size is 50. Tuning the Weber 32-36 does require a lot of trial and error, but it's entirely doable, even for a novice. Hope this has helped. 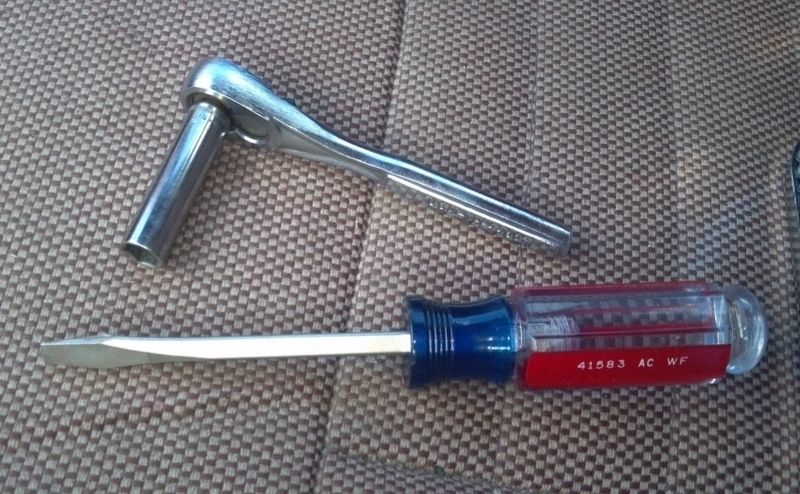 Finally, here are the tools needed to swap out all these jets. 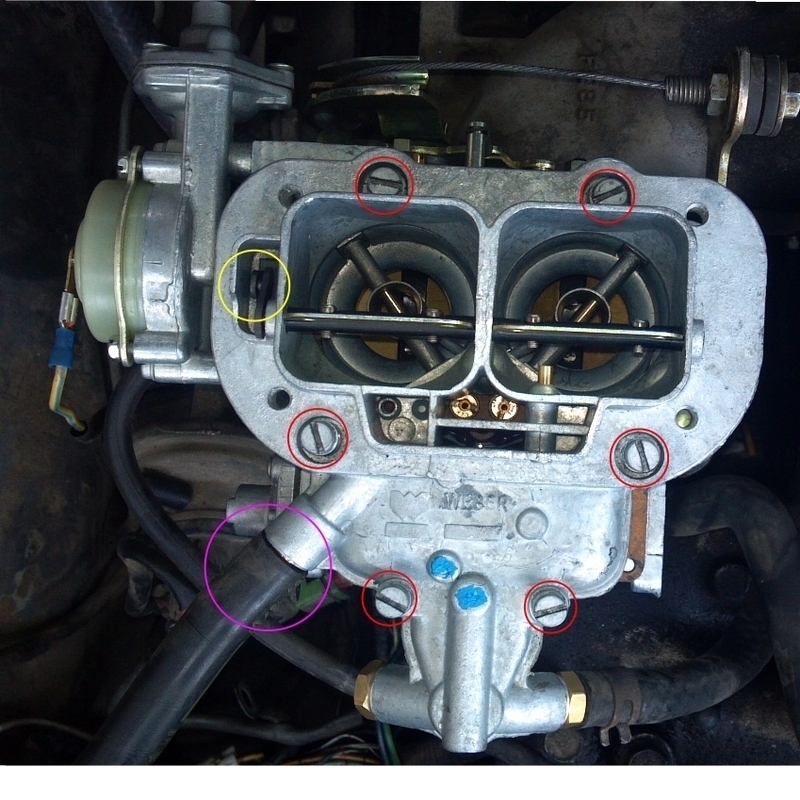 I got the Redline Weber 32/36 DGEV kit in late 2005 for my 1988 B2200. All I know about mine is that my primary idle jet is 52 and my secondary is 45. I've never had it apart to check the other jets, mine runs good, and I also have AC, and aftermarket cruise control grafted onto the Weber's &quot;cam&quot;.